Mid winter break started out with Carter’s hacking cough turning into a low grade fever. It only stuck around for a day but that day was long enough for him to pass it on to Cody. As some of you may remember, we tend to get overexcited, boarder lining on overprotective-helicopter-blades-whirring-parenting when Cody gets a fever. He has been almost 14 months seizure free but with a fever, comes an elevated risk of him seizing. While it is a bummer that he is sick, I am glad he is sick now instead of when school is back in session. Cody is on day two of his fever. This morning I awoke to Husband trying to corral Cody quietly past the bed and into the bathroom to give him a dose of Tylenol. Cody is anything but quiet. I really don’t think he fully grasps the concept of the whisper. And so I ended up with a Tylenol medicated boy snuggled up next to me and our black lab at our feet. Since Cody is not one for silence, we conversed. 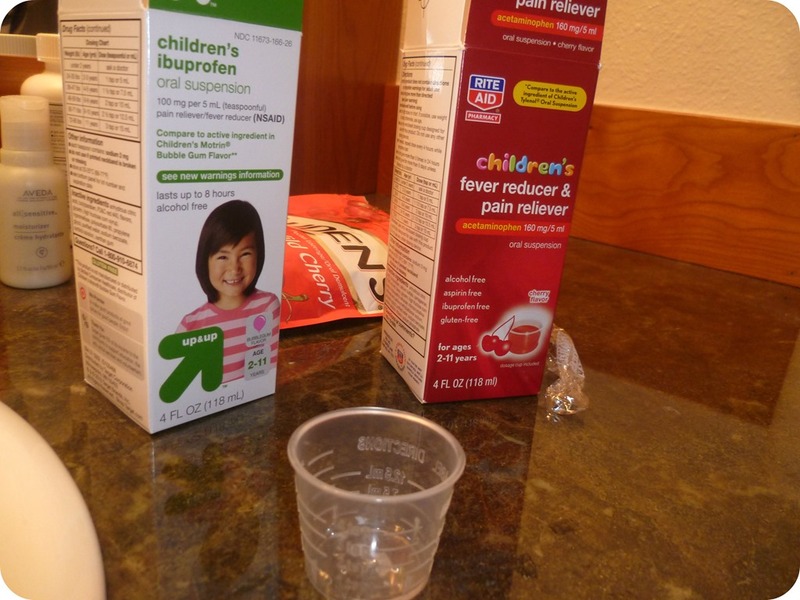 Cody started off talking about the various medicines he is familiar with, most specifically cherry flavored Tylenol, which lasts about 4 hours, and bubble gum flavored Motrin, that lasts up to 8 hours. He is not too keen on the flavors. cody: When I grow up I am going to work in a medicine making factory. I am going to make a TEN hour ibuprofen, but I will call it iFEEprofen. My medicine will take away fever and make your stomachache go away, and get rid of your headache, and my medicine will come in ALL sorts of flavors – peach, blueberry, strawberry, Greek yogurt. me: Wow! That sounds pretty good. cody: He continues as if I never spoke. He is on a roll. My medicine will work on humans and on all wild animals too! Except gophers. And if you have a pet mouse it will not work either because I think mice are related to gophers. It will work on dogs, it will work best on black furred dogs, (it is a good thing our dog is black furred) it will also come in dog treat flavor. As I listen, I wonder what he has against gophers and their relatives. I do not get a chance to ask him. He is ready to move on, to start his day. Sometimes sick children do not act all that sick. We get up. I find some two hour old coffee in the pot brewed earlier this morning by Husband. I set to work making Sleepy time tea with honey and milk for Cody. Our day has started. Fingers crossed that Cody heals in a very boring, non-drama filled manner. Oh, and keep Cody’s ten hour wonder drug idea under your hat, would you please? We don’t want the makers of Motrin to steal his idea and make many undeserved millions. This entry was posted in Sniffles & Seizures and tagged Children, Family, fibrile seizures, Humor, Kids, Life, Sorry gophers no drugs for you. Bookmark the permalink. Both grandkids have the same cough and fever (without the anxiety of seizures, of course) and they would love to have some of Cody’s awesome 10-hour, good-tasting medicine… No Greek Yogurt for Niko, but he’d happily take peach.. Fingers crossed that everyone gets over it quickly, so they can enjoy at least part of February Break!